Bruder Eye Hydrating Mask - Proven to relieve the symptoms of dry eyes. Introducing the Bruder Eye Hydrating Mask – Proven to relieve the symptoms of dry eyes. Now available at Eye5 Optometrists. Who here suffers from dry, itchy eyes? Don’t worry, we understand your pain and are here to help! We have just received a brand new product that is proven to relieve the symptoms of dry eyes (and no, it isn’t eye drops). Cue the incredible Eye Hydrating Mask by Bruder. The Bruder Eye Hydrating Mask is a natural, proven way to bring relief to dry eye syndrome, styes, chalazions and blepharitis. It replenishes moisture and relieves dryness, simply and naturally. The Mask may be applied as often as needed. Bruder Eye Hydrating Mask – Reusable and easy to use. The secret is the patented technology. 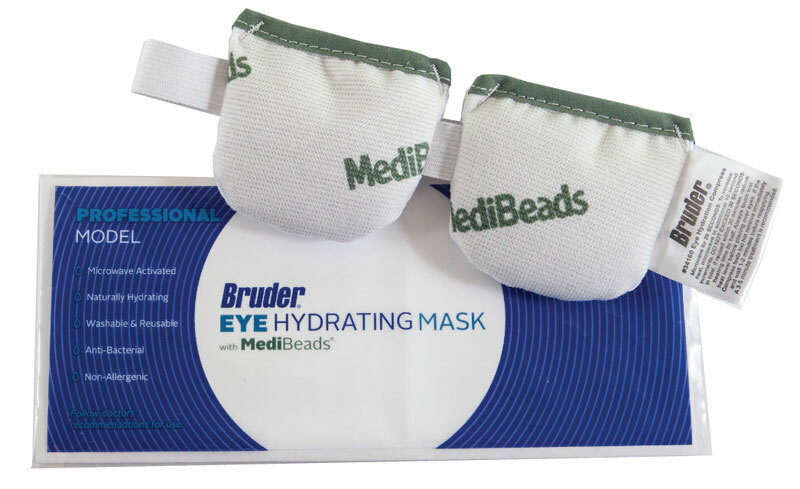 Bruder Eye Hydrating Mask features MediBeads® which continuously absorb and store water molecules from the air. When microwaved, the clean, natural moist heat goes to work immediately to provide soothing relief. 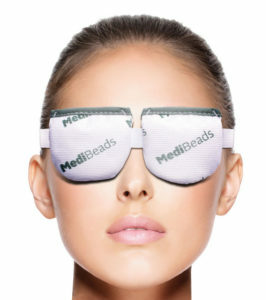 A heated Eye Hydrating Mask helps stabilize the tear film, improves oil gland function and slows tear evaporation. Properly hydrated and lubricated eyes can expel bacteria and debris more efficiently so your patients’ eyes will feel refreshed and rejuvenated. The Bruder Eye Hydrating Mask is an easy to use and natural way to treat chronic dry eye, MGD and Blepharitis. After 20 seconds in the microwave, you can simply apply the Mask over your closed eyes for several minutes. The moist heat goes to work immediately to help slow tear evaporation. There is no need to add water, no waiting and no mess. Want to find out more? Visit the Bruder website for details, or give us a call on 9345 2234.